There has been a bale of hay rolling across Tottenham this summer in the transfer window (don’t get excited, we don’t mean that Bale). Rumours have been aplenty but as of yet, the only thing to happen is the return of Vincent Jansson after his loan spell at Fenerbahce. However, with just under two weeks to go until Spurs kick off their campaign at Newcastle United, it appears the Spurs hierarchy have finally woken from their slumber and started to get on the blower. So, who is in line for a move to the new White Hart Lane next season? A funny one this one, after spending last season on loan at Valencia, the La Liga outfit were so impressed they decided to exercise their buying option from Inter Milan. However, now it seems just a month or two later, Valencia would consider selling for the ‘right price’ of course. That right price? 80 million Euros and quite a hefty figure for a 25-year-old capped just five times by France. However, Kondogbia is a powerful box to box player and would suit the Spurs style well under Pochettino. Unless Levy can reduce the fee somewhat, then this may be a tough nut to crack. Yawn, this one is getting boring now and a little bit daft. 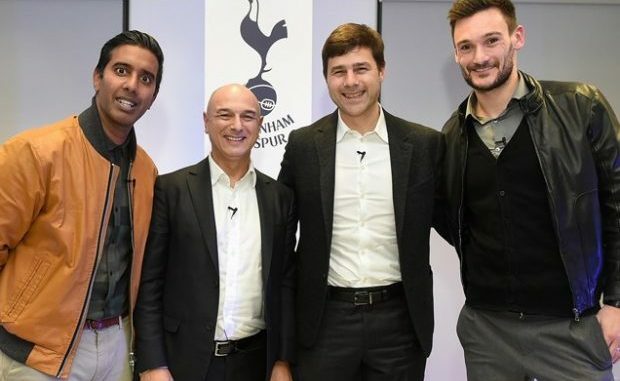 Daniel Levy’s grand plan to drive the price down on the talented 22-year-old from the financially stricken Villans has backfired. Simply because Aston Villa is no longer financially stricken after a bailout. This is a deal that should have been done weeks ago when Villa needed to sell, now they don’t, it looks like it could be Spurs who end up paying the price. Rumours have it that Spurs have entered the race with Arsenal and Real Madrid for Turkish youngster Omur Faruk. Although details are sketchy, Tottenham officials are supposedly in discussions with the youngster’s family, but this is a long-term signing and not one to get excited about right now. Unfortunately, that is about for now, so much for a flurry, more of a calm southerly breeze.